The following code will enable you to call a Batch File from ASP.NET / C#. There are a few steps you must take before this will work. There are times when Visual Studio 2013 does not integrate with TFS 2010. If you have that issue download the 2010 MSSCCI Provider 32-bit provider at this link. 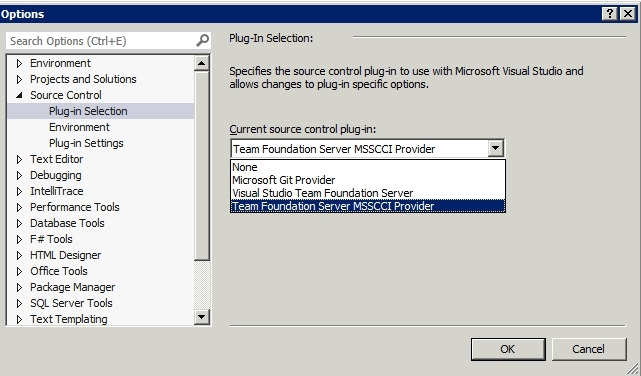 Then in Visual Studio under Options change the Source Control Plug-in. To prevent Invalid view state or 64Bit invalid viewstate issues, and to improve page performance, I have loaded view state in a flat file at times. 3. Have your page Inherit from the View State class (attached .cs file). 4. Setup a scheduled task to delete old view state files. I delete files that are one day old. /// Replace this with BAT Files to delete these View State files.